I've had a little fun this afternoon - well, it's Friday after all! 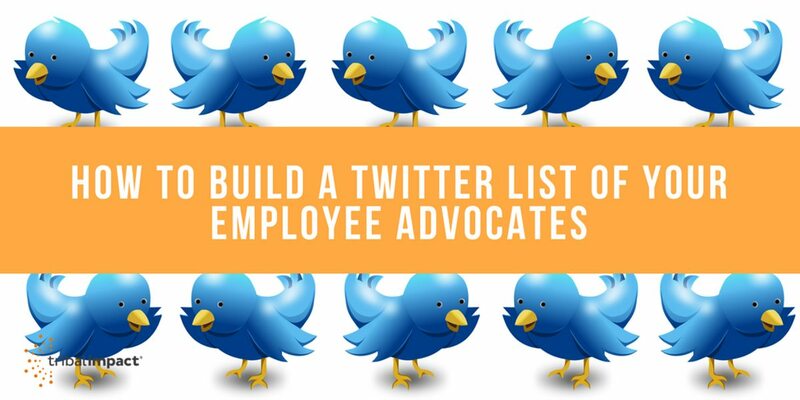 I'm trying to build one list of SAP employees on Twitter so that I can tune into what they're interested in and also figure out who our top employee advocates are in the business. Pretty crucial if you want to build a brand advocacy program. Thanks to the help of a few useful tools my tasks didn't take me too long either so happy days. I wanted to share the process on my blog - partly so I don't forget in the future and partly because I thought it might be useful for others looking to learn how to build a Twitter list. If you are interested in setting up your Social Media Policy, click here to download our FREE Social Media Policy eBook to help your manage your online reputation. 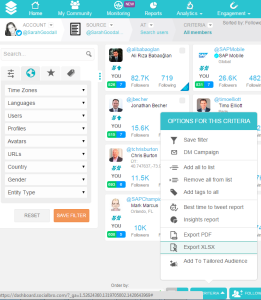 If you need to find employees on Twitter then I suggest you take a look at the search functionality on FollowerWonk - a nice little tool that allows you to search for keywords in the bio field of Twitter accounts. You'll get some unwanted results but by and large, it's pretty accurate. Otherwise, search Twitter for existing lists. Chances are that someone else may already have compiled a list of people relating to your company. There are some great tips on how to do this on this blog post. I found a few different SAP Employee Twitter lists on twitter so I used a smart little tool that allows you to copy other people's Twitter lists into your own Twitter account so you don't have to follow people individually nor create a list from scratch. It's really quick. Once I created my own version of the lists in my Twitter account, I pulled them up in SocialBro and exported each list into an Excel Sheet. I copied and pasted the Twitter Handle columns from each into one worksheet and ran the command that identifies duplicate entries some really easy instructions on how to do that here. Now I can see all the duplicates and all the ones that are unique - which are the ones that I need to add into my final list on Twitter. I copy and paste all of those into one column on a spreadsheet and save the file as a .txt file. I went back into SocialBro and imported the .txt file as a new list on my Twitter account - nice and simple when you watch the video in the link. I then added them all to one of my existing lists - I used the biggest list I copied over at the start of this process (which happened to be @jbecher SAP list).